We flew in, we dined around, we dared to lead. 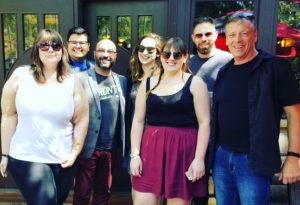 In May, several current and incoming members of our chapter’s 2018-2019 board headed to Regina for the annual IABC Canada Western Region conference for incoming chapter leaders, Dare to Lead. 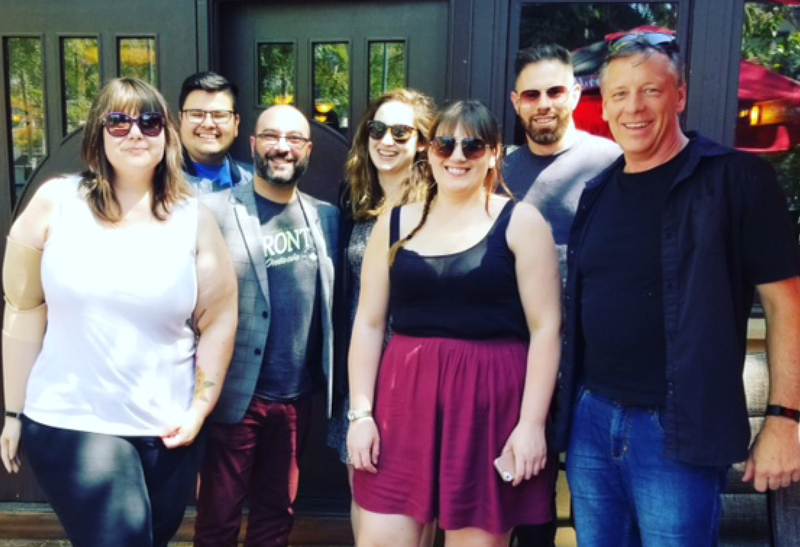 This year, we gathered in the Queen City of Regina with fellow IABC chapter leaders from Calgary, Edmonton, Saskatoon, Regina and Manitoba to network, develop our leadership skills and have more than a little fun. Lauren’s highlights: Attending the IABC 101 session with a really great talk from Catherine Ducharme was informative and inspiring for Lauren. Also notable for her was the ‘How Market Data Proved Us Wrong’ session with Miriam Johnson and Megan Wolfinger. What she gained from her first Dare to Lead experience: She got to know the other members of the BC board better, made lots of great connections and learned a lot more about IABC in general. Emily’s highlights: Her first ‘D2L’ was a hit thanks to sessions that focused on emotional intelligence and the art of leadership. She also loved the downtime to connect with other Canada West chapters. What she gained from her first Dare to Lead experience: As a first-time IABC board member, Dare to Lead made Emily realize she’s right where she belongs. She left Regina feeling inspired and invigorated, ready to take on the year ahead with a re-ignited passion for communications. 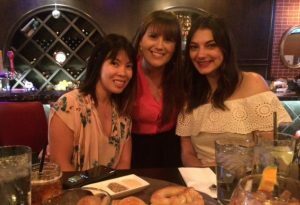 Emily feels honoured to be part of the IABC family and help tell the stories that move hearts and minds into action. John’s Highlights: His first Dare to Lead exceeded his expectations. John arrived wondering what he’d got himself into, and left wondering why he hadn’t gone before. He loved the great workshops, fantastic socializing and fun escape room teambuilding exercise that added up to a memorable experience which will stay with him. What he gained from the first Dare to Lead experience: He was grateful for the sense of support of other peers from across the region and found it good to bond with members outside of the busy work/home context. John’s big takeaway was that the sum is greater than the parts, and he gained a greater sense of the strong and vibrant communications community across the region. Danielle’s Highlights: Saturday morning’s inspiring keynote from Kellie Garrett really set the tone for the weekend. She also enjoyed the session on emotional intelligence with Claire Watson and the opportunity to get to know her fellow board members better. What she gained from her first Dare to Lead experience: The opportunity to connect with so many accomplished communications professionals inspired and motivated Danielle. She left Regina full of new ideas, feeling better equipped to be an effective leader in her field. 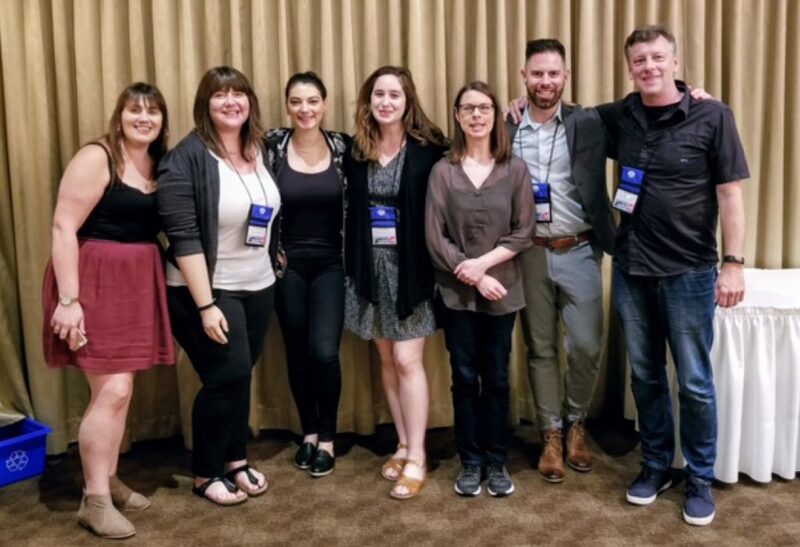 Adam’s Highlights: Getting a greater sense of the tremendous work coming out of Western Canada IABC chapters and the amazing support being offered to all of them by CWR and International was especially significant for Adam. 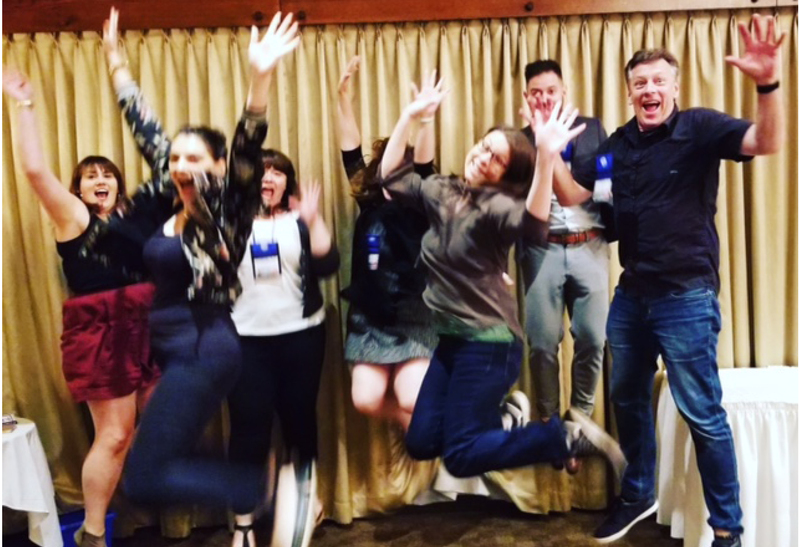 What he gained from his first Dare to Lead experience: Adam found that there’s a palpable energy in IABC right now, and feels excited to be a part of it. He’s really looking forward to working with other volunteers to nourish our chapter’s success and to borrow great ideas from our friends in other chapters. Gemma’s Highlights: The atmosphere felt different at this year’s Dare to Lead – it was electric! 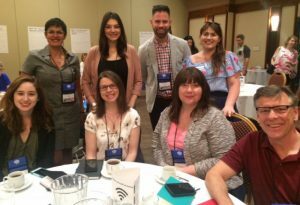 It was her IABC/BC family reunion and a chance to reconnect with fellow board leaders from across Western Canada. She loved the evenings spent socializing with the team and fellow leaders and building on existing relationships – and she was left feeling motivated and inspired by others. Gemma benefited greatly from Kellie Garrett’s keynote and leadership lessons. In particular, the points on leaders’ self-management and the importance of relationship building were her biggest highlights. What she gained from her second Dare to Lead experience: Gemma found there was something magical and priceless about being surrounded by a group of extremely talented, passionate, supportive and fun communications professionals. With every IABC conference she attends, she leaves feeling grateful to have found this organization.